A Fiery Scottish Preacher described as intense in strength of conviction and with great gravity of character. A practical exposition of the X. Commandements with a resolution of several momentous questions and cases of conscience. The Parliaments commission: delivered in a sermon, upon Nehemiah chap. 2 vers. 19, 20. / By J. Durham. The law unsealed: or, A practical exposition of the Ten Commandments With a resolution of several momentous questions and cases of conscience. By the learned, laborious, faithful servant of Jesus Christ, Mr. James Durham, late minister of the Gospel at Glasgow. Heaven upon earth in the serene tranquillity and calm composure, in the sweet peace and solid joy of a good conscience sprinkled with the blood of Jesus and exercised always to be void of offence toward God and toward men : brought down and holden forth in XXII very searching sermons on several texts of Scripture … / by James Durham. The dying man’s testament to the Church of Scotland, or, A treatise concerning scandal divided into four parts … : in each of which there are not a few choice and useful questions, very shortly and satisfyingly discussed and cleared / by … Mr. James Durham … who being dead (by this) yet speaketh ; and published by John Carstares … ; to which is prefixed an excellent preface of famous Mr. Blair … ; together with a table of the contents of the several chapters of each part. A commentarie upon the book of the Revelation Wherein the text is explained, the series of the several prophecies contained in that book, deduced according to their order and dependance on each other; the periods and succession of times, at, or about which, these prophecies, that are already fulfilled, began to be, and were more fully accomplished, fixed and applied according to history; and those that are yet to be fulfilled, modestly, and so far as is warrantable, enquired into. Together with some practical observations, and several digressions, necessary for vindicating, clearing, and confirming many weighty and important truths. Delivered in several lectures, by that learned, laborious, and faithfull servant of Jesus Christ, James Durham, late Minister of the Gospel in Glasgow. To which is affixed a brief summary of the whole book, with a twofold index, one of the several digressions, another of the chief and principall purposes and words contained in this treatise. The blessednesse of the death of these that die in the Lord and more especially in ane evil time excellently discoursed in seven very searching but sweet sermons on Revel. 14, v. 13 : wherein several weighty cases relating to death in genereal and to dieing in Lord in particular are succinctly, solidly and satisfieingly handled / by James Durham. Christ Crucified, Volume 1. [pdf epub mobi txt web via Internet Archive] Seventy-two sermons which form a stately exposition on Isaiah 53. These sermons have been reprinted here. Christ Crucified, Volume 2. 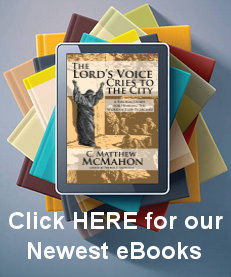 [pdf epub mobi txt web via Internet Archive] This volume contains sermons 34-72, and covers Isaiah 53:9-12. These sermons have been reprinted here. James Durham (1622–1658) was the eldest son of John Durham of Grange Durham Angus, and proprietor of ‘a good estate,’ then called Easter Powrie, in the county of Forfar. He studied at St. Andrews University, and afterwards lived at his country place. Subsequently he took arms in the civil war and became captain of a troop. Naturally serious and thoughtful, he had come under profound religious impressions on a visit to the relations of his wife (Anna, daughter of Francis Durham of Duntarvie) at Abercorn, near Edinburgh, and it was his being overheard praying with his soldiers by David Dickson, an eminent Presbyterian divine, that led to his devoting himself to the ministry. After studying at Glasgow he was licensed as a preacher in 1647. That a man of his position should make such a change excited some comment among his old friends and neighbours, but his whole soul was in his new occupation, and he vindicated himself with great fervour. Durham was a man of intense strength of conviction and great gravity of character. It is said of him, as of Robert Leighton, to whom in certain respects he bore a resemblance, that he was seldom known to smile. His studies, both in Scripture and in the theological and ecclesiastical questions of the day, were carried on with extraordinary diligence. Of his devotion to the Christian ministry he gave decided proof, both by his laboriousness in the work and by his retiring from the position and enjoyments of a country gentleman’s life. Of his power and faithfulness as a preacher a remarkable illustration is said to have occurred at the time of Cromwell’s invasion of Scotland. It is said that Cromwell entered his church incognito, and got a seat as it happened in the pew of the provost’s daughter, who, as he wore the dress of an English officer, was by no means very courteous to him. At the close of the service Cromwell asked her the preacher’s name. She gave a curt reply and asked why he wished to know. Cromwell replied ‘because he perceived him to be a very great man, and in his opinion might be chaplain to any prince in Europe, though he had never seen him nor heard of him before.’ It is certain that Durham preached before Cromwell against the English invasion. One version of the story has it that Cromwell asked him whether it was his habit to preach on politics, and that he replied that it was not, but seeing him present he thought it right to let him know his mind. His health had never been strong, and he was prematurely old, partly the effect of the singularly laborious life of study which he led. He died on 25 June 1658, in the thirty-sixth year of his age. He was held by his contemporaries in the very highest esteem as one of the most able and godly men of the time.